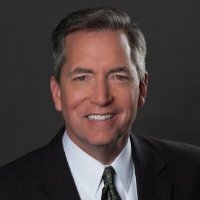 George Abernathy, a veteran transportation, logistics technology leader has joined the the TransRisk team as Chief Revenue Officer. In this role, George will oversee all revenue generating activities for the company and is flanked by one of the deepest benches in the freight startup scene. Prior to joining TransRisk, Abernathy led the the Transflo sales and business development organization. He has also served as President of Transplace during the company’s rapid ascension into becoming a top 3PL, managing billions in North American freight spend. Also at Transplace, he held the role of Executive Vice President and Chief Operating Officer and was a key contributor in the company’s sale to Greenbriar Equity Partners in 2013. “I have known George for over a decade when US Xpress was involved in the ownership of Transplace and always looked up to him as one the most knowledgeable folks in building a world-class sales organization. If there was a sales and customer guru in the transportation technology space, George would be it. We are super excited and humbled that he will be leading the charge in our go-to-market initiatives” -Craig Fuller, CEO of TransRisk stated. In addition to Transflo and Transplace, Abernathy has had an extensive career that includes more than 30 years of supply chain and transportation industry experience with carrier, broker, and technology companies. Capacity procurement and strategic bidding has been a hallmark of George’s career. Previously, George held senior management positions at NTE, Clicklogistics, Logistics.com, J.B. Hunt, and North American Van Lines. He earned a B.A. from Assumption College in Worcester, MA. “When I learned about Craig and the team were building, I was immediately impressed and intrigued. With all of the attention on Uberization in the space, no one was talking about making the incumbent participants more efficient and helping them manage risk. TransRisk does that. TransRisk has attracted the brightest thought leaders, demonstrated every day through TransRisk’s news-site, FreightWaves. As the company moves deeper into market analytics, media, and development of the first futures contracts for trucking, the company is positioning itself as the Bloomberg and Platts of Trucking,” Abernathy stated. TransRisk is developing products and solutions to provide price transparency and risk management to transportation industry professionals. The company is behind the number one market media outlet in the space, FreightWaves; the leading FreightTech standards organization, BiTA; and the world’s first trucking freight futures contracts set to launch in late 2018.